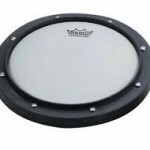 This is a practice pad you can take everywhere. Strap it on your knee and you are ready to practice. 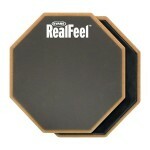 The Nee Pad is gum rubber, contoured, and has a real drum feel. 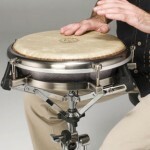 It is quiet and great for practicing in the car (not while driving) and on a bus tour. 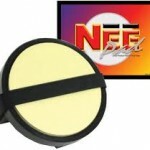 A favorite for touring drummers! In Black only. 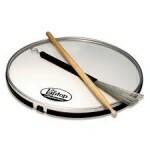 The Gibraltar GPO5 Practice Set is a favorite for anyone looking for a free standing space saving practice kit. It is an easy set up and break down assembly. Ideal for small spaces and small enough when disassembled to store in a closet. Quiet enough not to disturb neighbors. 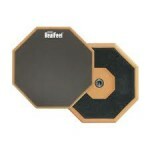 The set includes four 8" Rubber Practice Pads with Mounting Arms and one Rubber Bass Drum Pad.